NHS Hull CCG Chief Officer, Emma Latimer. 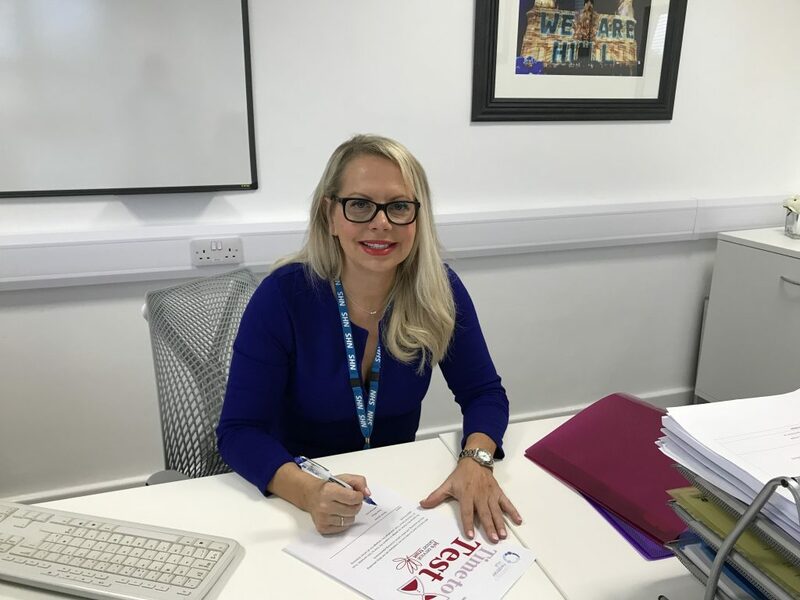 NHS Hull CCG Chief Officer, Emma Latimer, has this week signed the Jo’s Trust ‘Time to Test’ pledge, encouraging all CCG staff to attend vital cancer screening appointments, after sharing with them how a smear test saved her life. Emma shared the news with staff during Cervical Cancer Awareness Week, saying: “When I was 28 my routine smear test showed precancerous cells, I had these removed and I’m here to tell the tale today. Smear testing isn’t always the nicest thing in the world, all women who have had one will understand that, but catching precancerous cells quick is vital. “I’m pleased to announce that I’ve signed a ’Time to Test’ pledge and have extended this to all cancer screening. It is so vital that everyone attends cancer screening when invited and without delay. I hope by offering paid time off for cancer screening appointments, this will go some of the way to encourage my staff to attend those appointments. “I would encourage other employers to sign the pledge and make this a part of their policies too, it could save lives,” said Emma. Sarah Smyth, NHS Hull CCG Director of Quality and Executive Nurse, echoed Emma’s comments: “As a woman, but most importantly a nurse, I know how it feels going for that smear, but about 2000 cases of cervical cancer could be prevented each year through smear testing. It is so vital that you attend the appointment. “As the Director with responsibility for HR I am pledging Time to Test. I think this is a really important pledge, and I’d urge other organisations to offer paid time off for employees to attend cancer screening too,” Sarah added. Both Emma and Sarah have shared short Vlogs in hope of encouraging other employers in Hull to follow suit, encouraging and facilitating staff attending cancer screening by offering paid time off for these vital appointments during work time. Be the first to comment on "NHS Hull CCG pledge Time to Test"